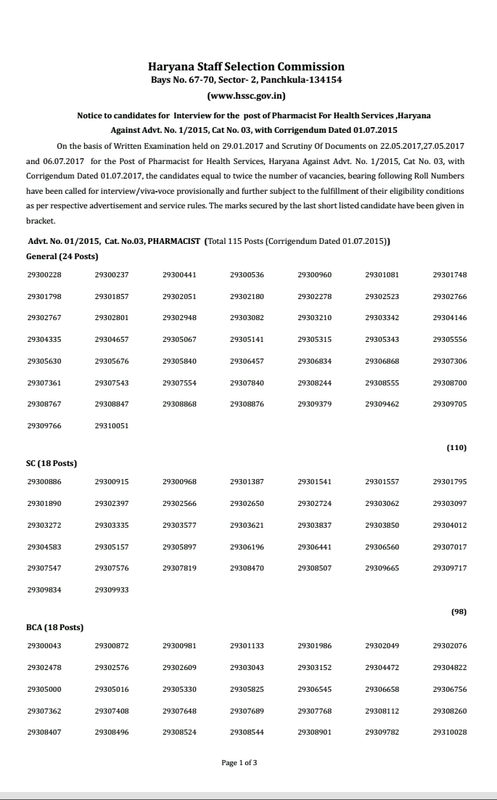 HSSC has Declared Written and Scrutiny of Documents Result for the post of Pharmacist For Health Services ,Haryana Against Advt. No. 1/2015, Cat No. 03. HSSC Interview for the post of Pharmacist For Health Services ,Haryana Against Advt. No. 1/2015, Cat No. 03.